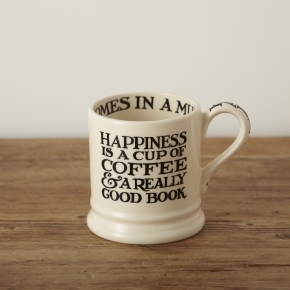 This Emma Bridgewater china mug is part of the ‘Black Toast’ range, and perfect for all book lovers (and coffee drinkers!). Perfect for my mug collection! It’s great, isn’t it. Enjoy! My stepdaughter bought me same mug for christmas! Thanks for sharing my blog:) Hope you have a great weekend!